Ruler of Florence for seven bloody years from 1531 to 1537, Alessandro de’ Medici was arguably the first person of color to serve as a head of state in the Western world. 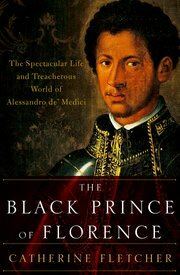 In The Black Prince of Florence: The Spectacular Life and Treacherous World of Alessandro de' Medici, Catherine Fletcher tells the riveting tale of Alessandro’s spectacular rise and fall in the first modern biography on the subject, bringing to life the epic personalities of the Renaissance’s most powerful families as they fought tooth and nail to rise to the top. Born out of wedlock to a dark-skinned maid and Lorenzo de' Medici, Medici was the last legitimate heir to the line of Lorenzo the Magnificent. Fletcher draws from new research and first-hand sources to tell the fascinating life of the Renaissance’s most intriguing figure, combining archival scholarship, dramatic narrative, and discussions of race and class that are still relevant today. 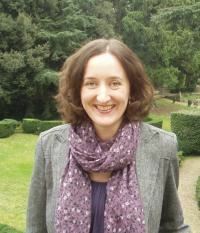 Catherine Fletcher is a historian of Renaissance and early modern Europe. Her first book, The Divorce of Henry VIII, brought to life the Papal court at the time of the Tudors. She consulted on the Golden Globe-winning TV miniseries Wolf Hall and regularly broadcasts for BBC radio. She is Associate Professor in History and Heritage at Swansea University and has held research fellowships in London, Florence and Rome. DEADLINE FOR REGISTRATION: Sunday, September 18, 2016.